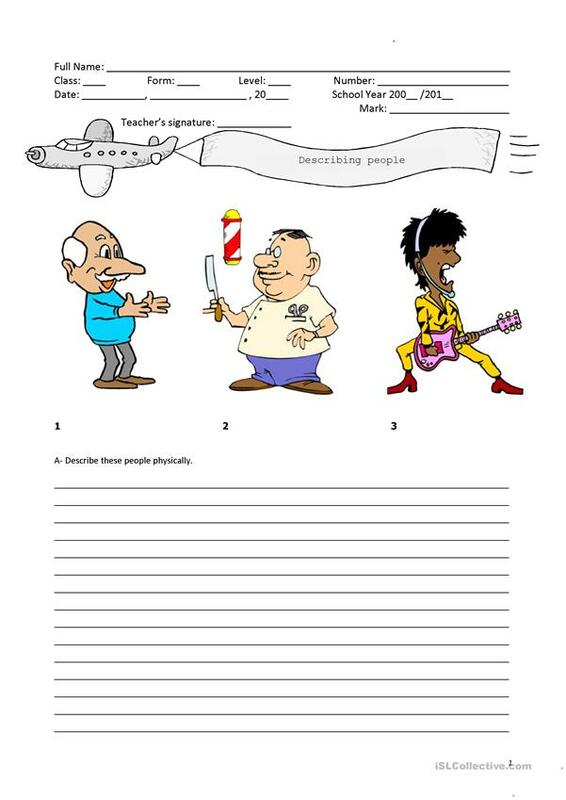 A writing exercise in which students should be able to describe the people on the pictures, phisically and pschologically. The above printable, downloadable handout is recommended for elementary school students at Pre-intermediate (A2) level. It is great for teaching Adjectives in English, and is useful for honing your students' Writing skills. It is focused on the vocabulary topic of Clothes, fashion.